At Baselworld 2000 Corum introduced the Bubble, an over sized 44 mm watch with an even larger crystal, so tall that it distorted the dial. It was an instant success. 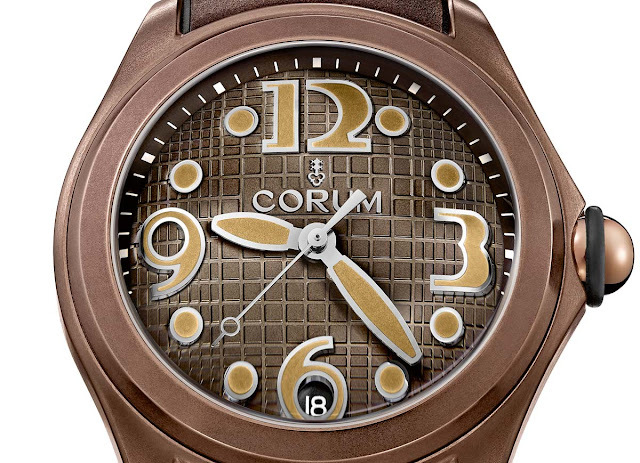 The Bubble has now been revived as part of the Corum Heritage collection. The new Bubble retains the design codes of the original but it is not a mere replica. 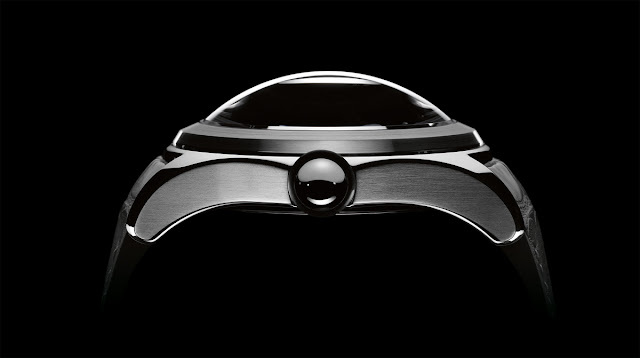 The diameter of the case has been enlarged to 47 mm while the thickness, sapphire crystal included, is 18.8 mm. The massive case is paired to short, curved lugs to fit the wrist more comfortably. 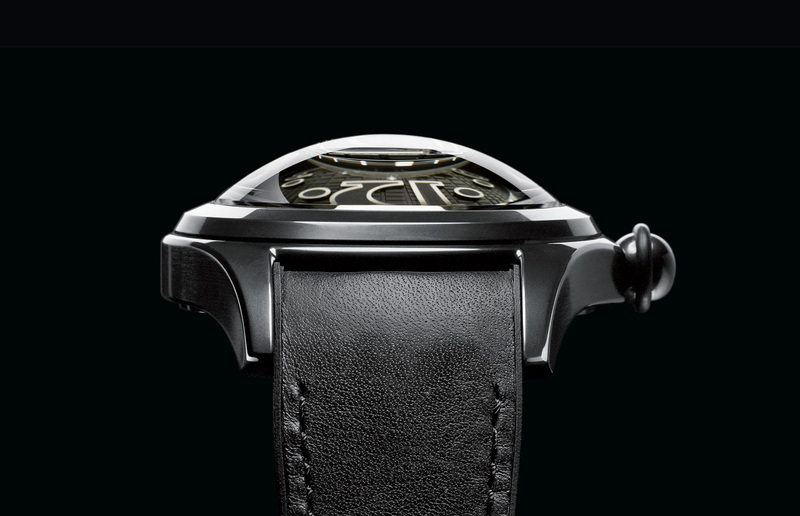 The crystal alone is 8 mm high, one of the largest of any watch. Crafting it requires several hours of work and once the shape is obtained, the polishing phase brings the crystal to flawless clarity with no optical imperfections. Acting as a lens, the crystal magnifies and distorts the dial. This peculiarity determines fascinating optical effects especially with the dials of the two Corum Bubble Heritage limited editions which are characterised by a decoration with squares in graduated sizes that grow larger toward the centre of the dial. This static patterns gives the impression of movement and create surprising perspectives. Even if this type of dial is perfectly flat, formed from a lacquered, brass disc stamped with the cube motif, it appears sharply domed. The Bubble All Black (ref. 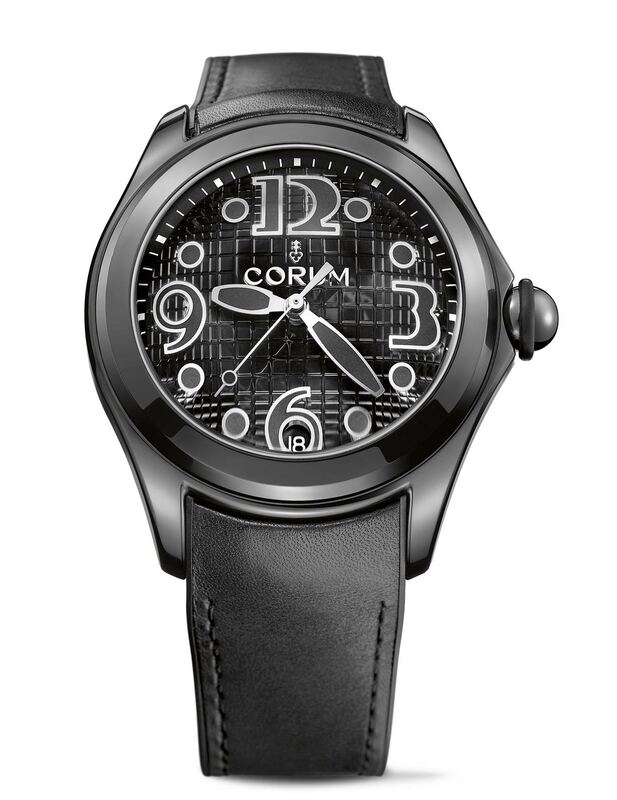 L082/02587) features a stainless steel case with a glossy black PVD coating, matched by a matte black dial, along with charcoal-coloured indices and hands. The steel case of the Bubble Vintage (ref. L082/02424) has a particular bronze-tone PVD treatment combined to vintage Super-LumiNova treated hands and numerals. Only 350 pieces will be produced for each limited edition. The third model, the Bubble Squelette (ref. L082/02595), is not a limited edition and does away with the dial revealing the skeletonized movement, with the domed sapphire crystal providing a magnified view of the gears. The movement of choice is the automatic CO 082 (based on the Swiss ETA 2892) which beats at 28,800 vibrations per hour with a power reserve of 42 hours. 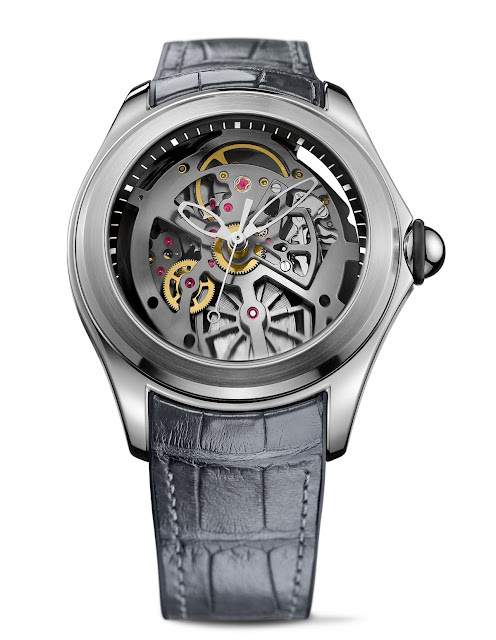 For the Squelette model, the movement has been skeletonized and customized with a different design of the bridges. All of the Bubble timepieces are fitted with rubber straps topped with calfskin leather for the two limited editions and alligator for the Squelette. Corum Heritage Bubble. The Bubble All Black (ref. L082/02587) features stainless steel case with a glossy black PVD coating. Price: Swiss Francs 3,300 / US$ 3,425. The steel case of the Bubble Vintage (ref. L082/02424) has a particular bronze-tone PVD treatment.Price: Swiss Francs 3,300 / US$ 3,425. The third model, the Bubble Squelette (ref. L082/02595) does away with the dial replacing it with the skeletonized movement. Price: Swiss Francs 8,000 / US$ 8,300.